I’m just gonna put this out there. I am not organized. I try really, really hard, but it’s just not in my nature. I mean, have you seen my desk? I like my house to be tidy. I’m not saying it ever IS tidy, but I do prefer it that way. You know, in theory. 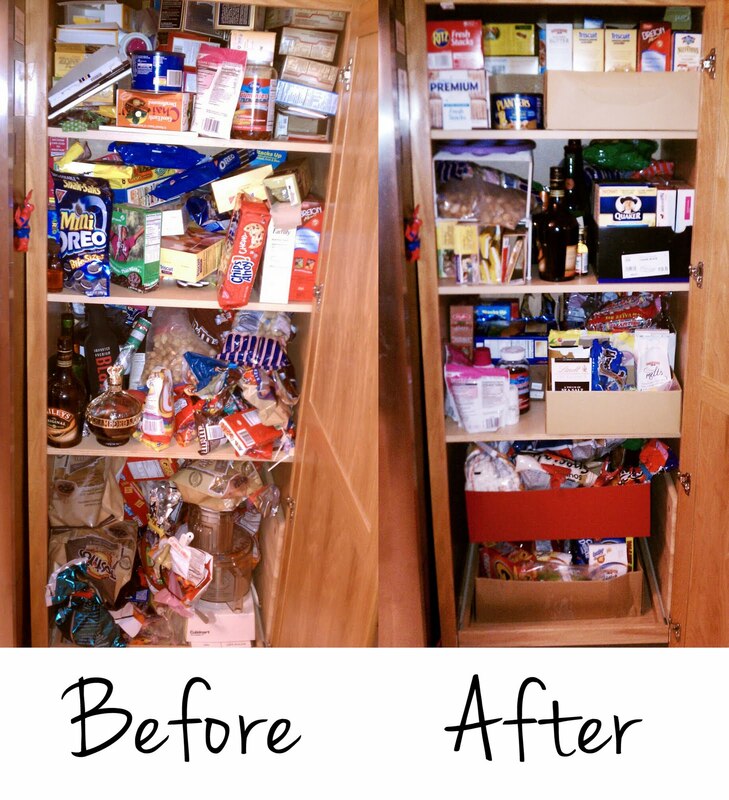 But open a closet or the pantry, and things are pretty likely to fall out. The kids got loads of craft stuff for Christmas, because they are really into creating right now. A pack of those scissors that cut curvy and cool lines, a huge set of pre-inked stampers from Oriental Trading Company, oodles of fabulous stickers, pom-poms, and other consumables, maze books and connect-the-dot and coloring books, dry erase markers and crayons for their white board and white board books, and on and on. It was the year of bicycles, art, and musical instruments. But then, as I was tidying away the Christmas piles from under the tree, I realized that I had no idea where all of that craft crap was supposed to go. The drawer that had previously housed some paper, markers, and crayons was not going to cut it. It was time to make space. As I mentioned in the last entry, I cleared out a poorly-used closet and decided that it would be the new home of the craft stuff. And then I had a moment of panic. I don’t organize. I don’t know how to do this. What do I need? 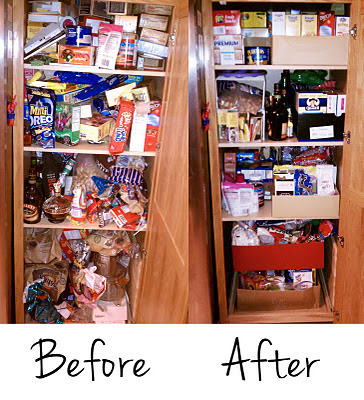 If we had any extra money, I would have hired an organizer to just do this for me (and do my pantry while she was at it). But we needed to do this on the cheap, so I took measurements and headed out to Target. When I called this entry “Organizing for dummies,” dude, I seriously mean DUMMIES. If you have any skill at organization, you should still read this because my stupidity will make you laugh. But if you, like me, are organizationally challenged, I hope you learn something from my mistakes… my many mistakes, which I am about to catalogue as a set of tips. Each tip represents something that I did wrong. Each tip also represents at least one but no more than four f-bombs. 1. When organizing a closet, don’t forget that you need to be able to get stuff out the door. It’s an awesome use of space to have wall-to-wall drawers, but not if you then can’t get the vacuum cleaner out without removing all of the drawers from the closet. 2. When measuring the height between shelves, keep in mind that those metal brackets holding up the shelves take some of your height. As satisfying as it seems to have bins that perfectly fit into the space between shelves, they won’t fit if you have a bracket holding up the shelf. 4. Also speaking of bins that fit perfectly, sometimes shelves bow in the center or are not even. Measure in a few places and use the smallest number. 5. If you have any other organizational doodads on the door to your closet or pantry (like battery holders, plastic bag holders, or, say, two 8" deep inboxes for yours and your hubby’s bills and important mail), yeah, you need to account for that and subtract it from your available depth measurement. 6. If you are filling a space the size of a closet with bins and drawers, you might need a space larger than the size of one Target shopping cart to carry it all. If you try to pile it up, it will all fall down and you will embarrass yourself, especially if you are wearing the jeans that give you coin slot in the back when you bend down. Yeah, that happened. In the end, probably the smartest thing I did was to consider hiring an organizer. I really should have gone with my gut on that one. But I did do some things right. For example, Staples has a 6-pack of el-cheapo plastic stackable letter trays for under $10 that is the bomb for holding different kinds of paper (colored construction papers, white paper, lined paper, coloring books, etc.). They also have very cheap utilitarian cardboard magazine file boxes that are also great for coloring books and maze books. Drawers that come out work well in a vertical space because you can take the drawer out of the bottom without having to worry about un-stacking and re-stacking bins. Finally, shoe boxes and cardboard boxes work just as well as fancy bins, and are free. They don’t look as cute, but check your free stash before you go shopping. The moral of the story, for those who missed it, is this: Buy more shoes. Your adventures in organizing sound like mine! Except that I don't measure. I choose bins based on colour, buy too many of them, bring them home, realize that they don't fit the space, consider returning them, and then just pile them in a corner in the basement instead. Kudos to you for doing the project at all! Some of us suffer from analysis paralysis and can't even get started. Here I sit with the IKEA catalog hoping that I will be inspired to find a creative way to store all the crazy zoobles, squinkies, legos, and playmobile. And find a clever way to have a workspace in my living or dining room. And win the lottery. Your posts always make me laugh! I've been reading for awhile and today, nominated you for a Kreativ Blogger award. It's just a fun award and a great way to introduce our readers to bloggers they might not know about. Check out this post for more information.